Android is supported on devices running software version 5.0+. Download the free App "RXO Chat" from the Play Store. 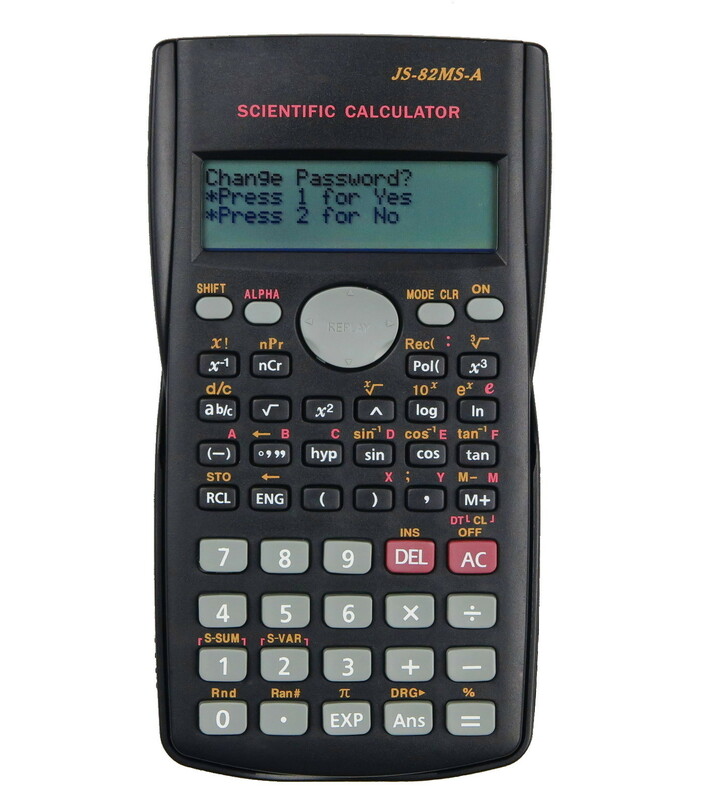 Please download and read the user manual for a detailed description on how to use the calculator. A purchase will include an Alkaline battery pair loaded in the calculator. 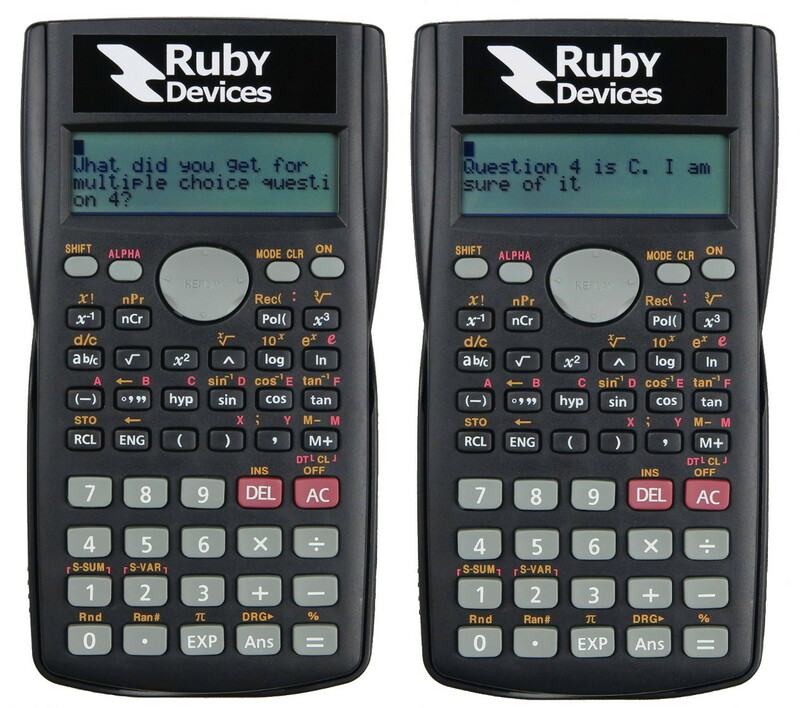 DISCLAIMER: While the Ruby Calculator product can be viewed as an Exam Cheating Calculator, it was only created so for entertainment purposes. 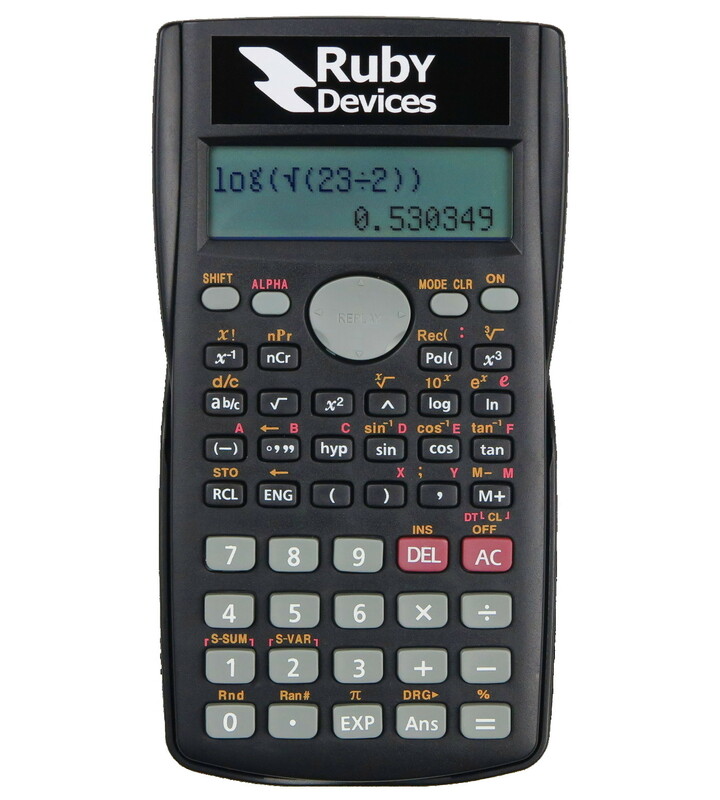 Cheating on an examination with a Ruby Calculator is strictly against the Terms and Conditions of purchase. 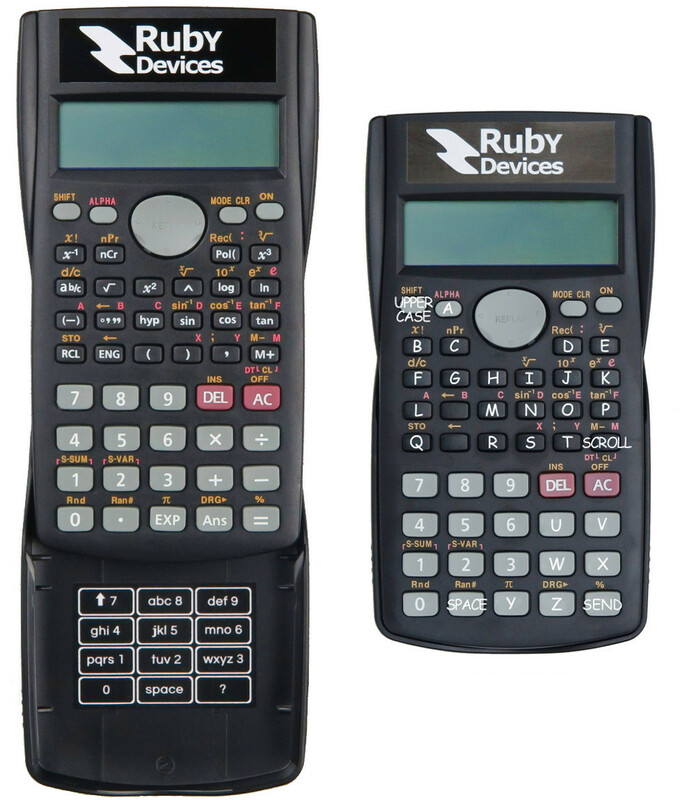 How can I purchase a Ruby Calculator? What are all of the supported payment options? The full list of payment options is provided below. Options 1 and 2 are available on our website. For Options 3 to 5 please contact our support team for payment instructions. Is the memory storage on a Ruby Calculator persistent? Can I delete files to make space for new ones? Sure, no problem. You may turn the calculator off and back on without files being forgotten. 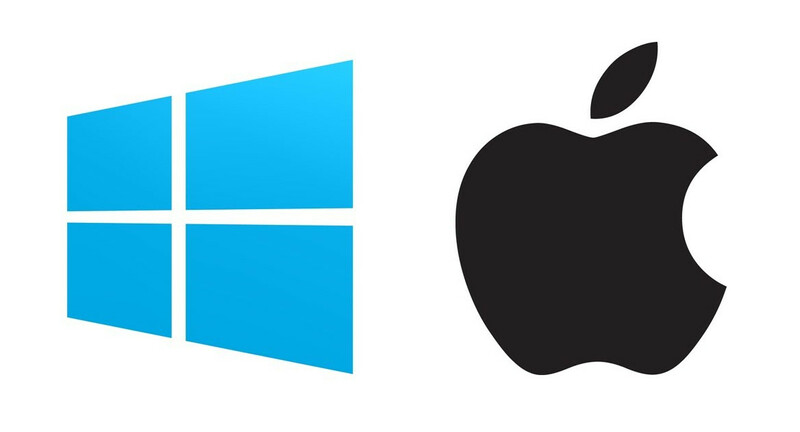 The user may also delete and overwrite files with new ones as many times as they like. Can I customize the default password on my Ruby Calculator which protects the file system and chat mode? Yes, absolutely. Ruby Calculators are shipped with the default password of "123456" but this password may be changed by the user at any time. If a user forgets their password they may contact Technical Support for a PUC code to reset their device to the default password. 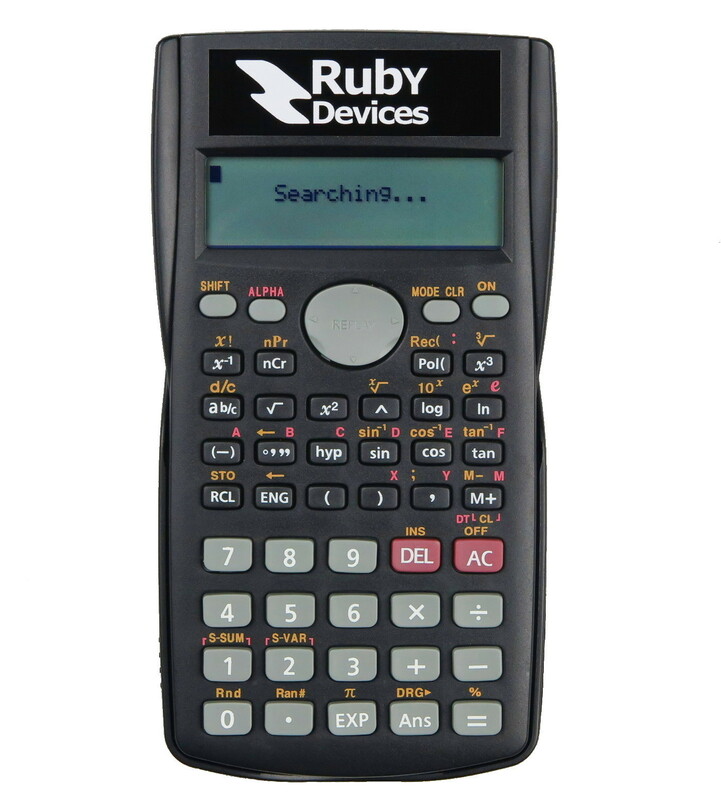 Can a Ruby Calculator perform all the functions of a scientific calculator? Nearly all functions, yes, with a minor exception or two. Please refer to the User Manual for additional details. What is the maximum range in distance that a Ruby Calculator can send messages to another device? 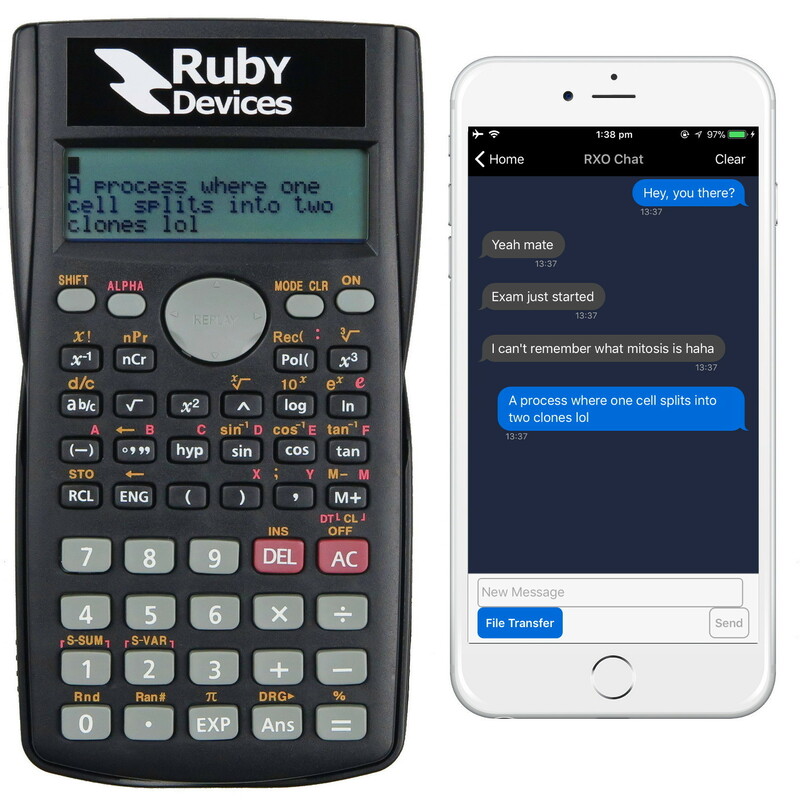 A Ruby Calculator can message another Ruby Calculator up to 20 metres away indoors and 50 metres away in an outdoor open space. 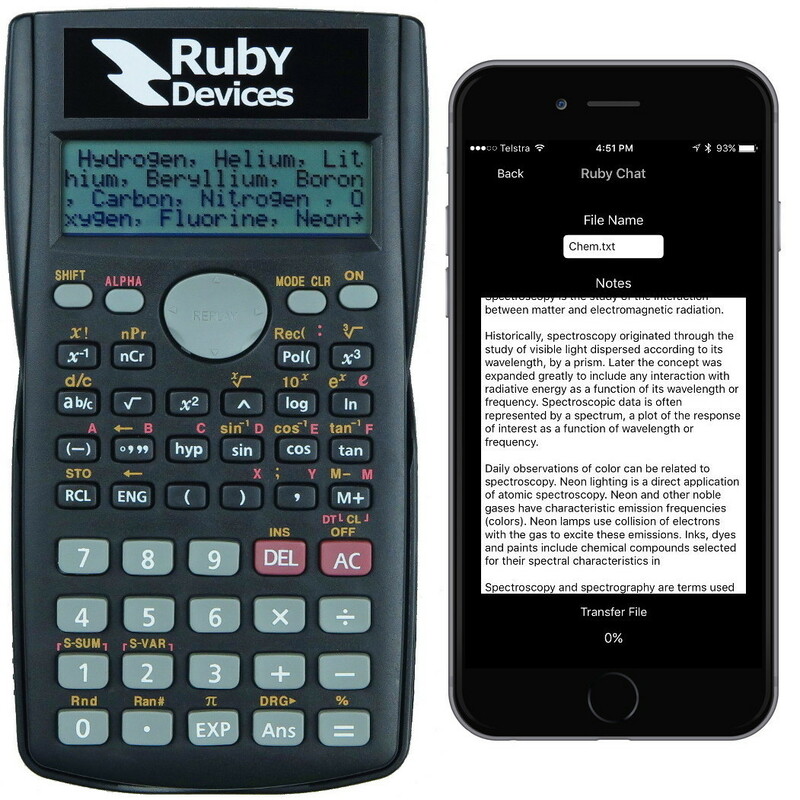 A Ruby Calculator can message a Smart Phone anywhere in the world using a local Smart Phone to relay messages through the Internet. Does a Ruby Calculator incorporate an emergency button in the event that one wishes to hide all advanced capabilities of the device? Indeed, it does. At the push of two buttons all advanced capabilities will be suppressed and can only be unlocked again through the entry of the Chat Mode password. What is the battery life of a Ruby Calculator? A high quality pair of alkaline batteries will last approximately 10 hours. After unlocking Chat Mode can I still use Calculator Mode during the same session? Will I be able to still receive messages while I am working in Calculator Mode? Yes, after unlocking Chat Mode the user may switch at anytime between Calculator Mode and Chat Mode. Furthermore, while in Calculator Mode data will still be received so there is no need to worry about missing out on any new messages. Free Shipping is offered on all orders world-wide with Australian Post Standard. Shipping time with this service is usually between 10 to 20 business days. Two different Express shipping options are also available - DHL which ships in 3 to 5 business days and Australian Post Express which ships in 8 business days. All shipping services are available world-wide and come with tracking. Email support@rubydevices.com.au with any queries you may have with regards to shipping. Are you based in India and would like faster shipping? Please click here to navigate to the website of our official distributor in India. From here you may purchase a Ruby Calculator using local payment methods.